Buddhists turn to internal enlightenment, while Muslims and Hindus worship external deities. The Western religion of Islam grew from the Jewish and Christian traditions. Muslims worship a single, external deity, and follows a strict moral code based on their holy book, the Quran. Buddhism and Hinduism are Eastern religions. Like Islam, Hinduism looks to an outward deity, while Buddhism advocates that practitioners look inside themselves to find enlightenment. Islam began in the 7th century in Arabia, making it the youngest of the three. It sees itself as the final version of Judaism and Christianity. Muslims believe Muhammad received special instructions from Allah, and wrote them down in what would later become the Quran. Islam spread from Arabia to Sub-Saharan Africa and Asia, then to the rest of the world. Today, it is the world's second largest religion. 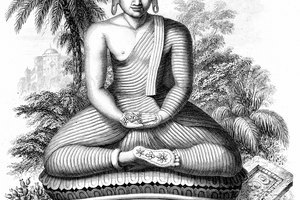 Buddhism began around 500 B.C., when Siddhartha Gautama gave up his privileged life to seek enlightenment. Buddhists believe he became the Buddha, or the enlightened one, when he concluded that all life includes suffering brought on by desire. About 376 million people practice Buddhism throughout the world. The origins of Hinduism are difficult to classify; the religion is diverse among those who practice it, and it does not have a single source. 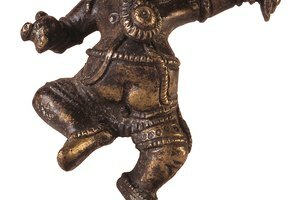 Parts of modern Hindu tradition date back thousands of years. Indigenous religions in the Indus Valley influenced the development of Hindu tradition. Hindus do not worship a single deity, read a single text or have a single founder. Islam is a monotheistic religion that worships Allah, an all-powerful deity who they believe created the entire universe and everything in it. Muslims believe their deity is no different than that of their parent faith, Judaism. Allah is just and merciful, but will also judge everyone on the day of judgment. 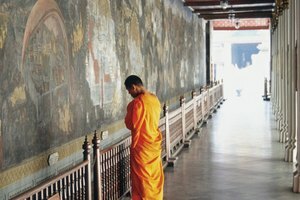 Buddhists may acknowledge the existence of gods, but do not focus on them, as the historical Buddha was an ordinary man. Instead, Buddhists turn inward for enlightenment. Buddhists look inward to find the meaning of life, and to deal with outward pain and disappointment; they do not look to an external deity. Hindus believe in one all-inclusive god that manifests itself in different forms, or avatars, with different names. 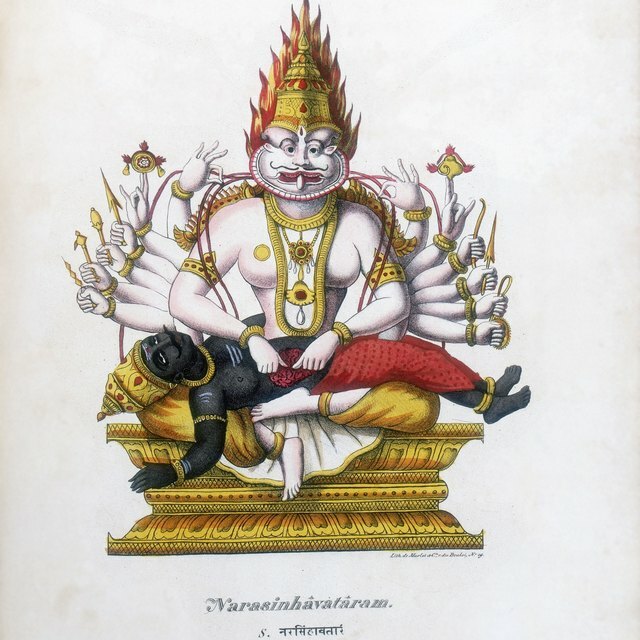 Some denominations may worship Shiva or Kali or Vishnu, but they are all part of the same god. God constantly creates and destroys the universe. Muslims follow the Five Pillars of Islam. First, they believe the incantation "There is no God but Allah, and Muhammad is his messenger." The second is to pray to Allah five times a day. The third requires donating a portion of wealth to the needy. The fourth requires fasting during the holy month of Ramadan, and the fifth is making a pilgrimage to Mecca. Buddhists practice meditation to turn inward and reflect on Buddhist philosophy. The Zen sect rejects textual teachings, and believes that the way to arrive at truth is through the inward practice of meditation. 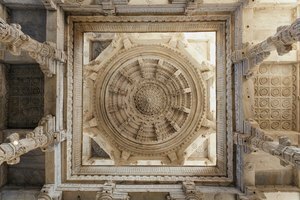 Hindus use three different materials to worship: images of the gods, mantras and a diagram of the universe. Worshiping deities is a personal act, not a group effort, and involves repeating the name of the god and a mantra to them. They leave offerings of food and incense, and many build shrines in their own homes as well as worshiping in a temple. Muslims turn to their sacred book, the Quran and the Hadith, or stories and sayings about the Prophet Muhammad, for moral guidance. These guide Muslim's everyday life, business practices and traditions. Everything they do must honor Allah, and act in accordance with Quranic law. Buddhists follow the Five Precepts, or guidelines for what to avoid. They should not harm any life form, tell lies, practice sexual misconduct that harms others, take anything that does not belong to them or take drugs or alcohol. Buddhists believe that engaging in these acts will cloud the mind, and lead people away from the path of finding true enlightenment. Hindus believe in dharma, or that everyone has certain responsibilities and obligations to perform, depending on their station in life. 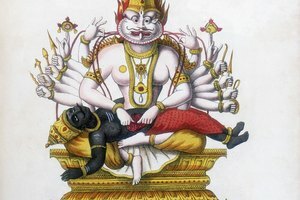 Dharma, while describing morality, also describes what controls the universe. All living things, from plants and animals to gods and humans, have a specific role to play. A sacred poem in Hinduism, The Bhagavad Gita, argues the importance of following a person's station in life. 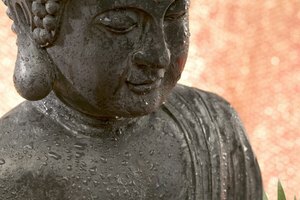 The Buddhist Centre: What is Meditation? Peckinpaugh, Timothy. "Islam, Buddhism & Hinduism Comparison." Synonym, https://classroom.synonym.com/islam-buddhism-hinduism-comparison-12086577.html. 29 September 2017.